Designed by Nadine Chahine, Linotype Design Studio, Monotype Design Studio and Edik Ghabuzyan in 1983, 2010. Published by Linotype as part of the Neue Helvetica Super Family. Neue Helvetica supports up to 125 different languages such as Urdu, Arabic, Spanish, English, Portuguese, Russian, Persian, German, French, Turkish, Italian, Polish, Ukrainian, Uzbek, Kurdish (Latin), Azerbaijani (Latin), Romanian, Dutch, Greek, Hungarian, Kazakh (Latin), Serbian (Cyrillic), Serbian (Latin), Czech, Bulgarian, Hebrew, Swedish, Belarusian (Latin), Belarusian (Cyrillic), Armenian, Croatian, Slovak, Finnish, Danish, Lithuanian, Latvian, Slovenian, Irish, Estonian, Basque, Icelandic, Luxembourgian, and Vietnamese in Latin, Cyrillic, Greek, Arabic, Thai, Hebrew, Georgian, Armenian, and other scripts. Most people who use Helvetica, use it because it’s ubiquitous: like going to McDonald’s instead of thinking about food. In 1983, D. Stempel AG redesigned the famous Helvetica typeface for the digital age, creating Neue Helvetica for Linotype: a self-contained font family. Today, this family consists of 51 different font weights. It’s original numbering system for the weight designations came from Adrian Frutiger’s numbering system for the Univers family. The basic font weight, “Neue Helvetica Roman”, is at the heart of this numbering system. The designation “55 Roman” forms the central point. The first figure of the number describes the stroke thickness — 25 for ultra light to 95 for extra black. The second figure gives information on the width and orientation of the font – “Neue Helvetica 53 Extended” or “Neue Helvetica 57 Condensed”, for instance. Neue Helvetica sets new standards in terms of its form and number of variants. It is the quintessential sans serif font, timeless and neutral, and can be used for all types of communication. 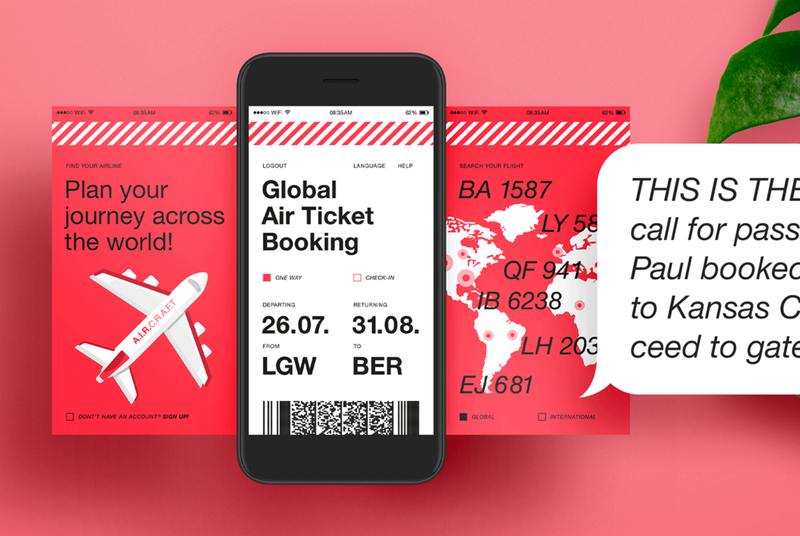 Neue Helvetica is one of three Helvetica typeface families from Linotype. Aside from the original Helvetica from the 1960s, there is the 21st Century Helvetica World, with rich language support capabilities. Neue Helvetica contains 51 different font weights. All weights are also available in Central European versions, supporting the languages of Central and Eastern Europe. 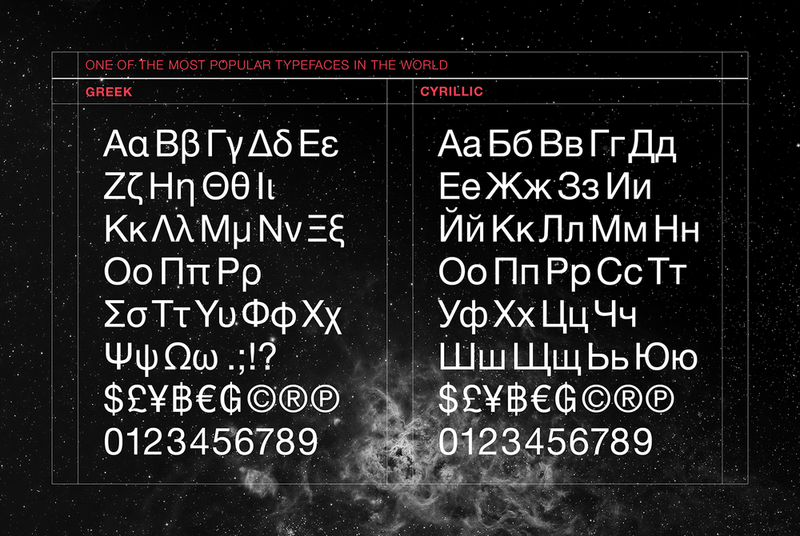 Lastly, 34 weights are available in Cyrillic versions. Many customers ask us what good non-Latin typefaces can be mixed with Neue Helvetica. Fortunately, Neue Helvetica Paneuropean already has Cyrillic versions, has Greek as well, and Helvetica World includes Arabic and a specially-designed Hebrew Helvetica in its OpenType character set. But Linotype also offers a number of CJK fonts that can be matched with Neue Helvetica.